When President Emmerson Mnangagwa first took the oath of office on November 24 2017, he raised the expectations of many Zimbabweans, so high that they were bound to be disappointed. The excitement that had been witnessed when his predecessor, Robert Mugabe unceremoniously left office, soon became a false hope. When the election campaign started, a few months later, it slowly sank in the mind of millions of Zimbabweans, that In the event that ED wins the elections, then it would be all doom and gloom. His well-oiled election campaign, featured soaring rhetoric about hope and change at one extreme and a long series of detailed policy proposals at the other. While it mobilized many people, especially the rural folks and the unemployed young, who otherwise might not have voted, it also led them to expect a change of scope and speed that our political system rarely permits. When the normal checks and balances took hold post the 2018 elections, all hope turned into doubt and then into disillusion. As if the rhetoric has not been enough, Mnangagwa’s reign has been plagued by a series of misfortunes and disasters. Due to all of the problems he has faced, his popularity has declined as he has often failed to find solutions to all of them. The simple fact is that no leader or governing party thrives politically in difficult economic times. . . Citizens today are understandably scared, sour, and deeply pessimistic about our economic future. Below are some of the major unfortunate incidents or disasters which have haunted ED’s reign so far. Unrest has spiked in recent months as the economy is on the brink of collapse. A scarcity of foreign currency -Zimbabwe adopted the US dollar as legal tender in 2009 – has sparked sporadic shortages of everything from fuel to bread. Inflation, at 54 per cent, is at its highest since 2008, when the International Monetary Fund estimates that it reached 500 billion per cent. 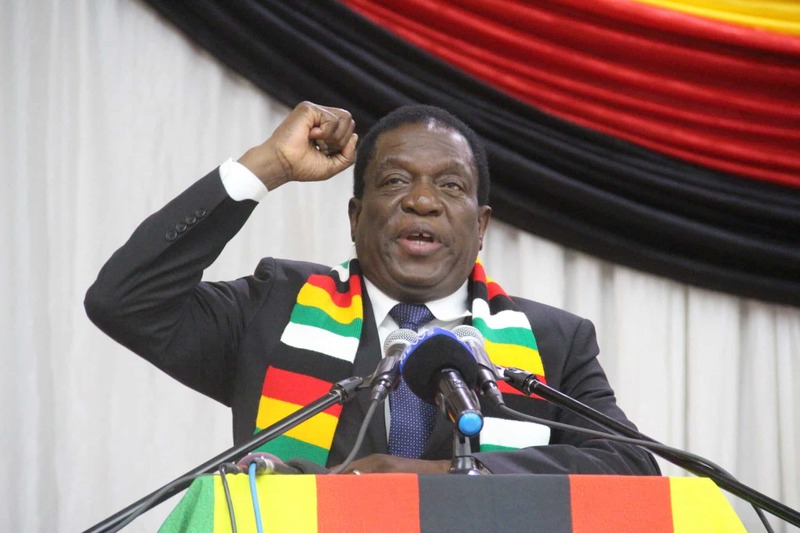 On the eve of the July 30 elections, Mnangagwa was in a near death situation as an explosive substance went off, killed two people at a rally in Bulawayo. He promised to bring the perpetrators to book but until now, no publicly known arrests have been made. However, reports indicate that suspects were caught and “dealt with” in private. Mnangagwa’s biggest challenge to this day is the legitimacy question which arose as a result of the July 30 elections. While the ConCourt made a ruling that he had won by a marginal 50.4 per cent to his closest rival, Nelson Chamisa of the opposition Movement for Democratic Change party (MDC), 44.3 per cent, the latter has since then made sensational claims that he won the elections but was “robbed” by Mnangagwa and the Zimbabwe Electoral Commission (ZEC). The legitimacy question has often been used to stop re-engagement efforts by the Western world. Mnangagwa had hoped to re-engage with the Western powers but the manner in which the elections were run, proved shambolic, according to one of the independent observers. Chamisa has often said that for Mnangagwa to find peace in his presidency, he needs to admit that he lost the elections. Well, Mnangagwa does not seem to be at peace on a daily basis. Mnangagwa’s reputation was badly tainted by the events which followed the elections. On 1 August, with the eyes of the world firmly glued on Zimbabwe, the army killed six people during a protest by the Chamisa-led opposition party of the late release of elections. All the campaign rhetoric that Zimbabwe was open for business, came to nothing as most would-be-investors became sceptical of the man they thought had changed from the heavy-handedness of Mugabe. Most investors who were in the country waiting to ink mega deals with Mnangagwa were on their planes back home as soon as lives were lost. This meant Mnangagwa had been dealt a major blow in his plan to resuscitate the ailing economy. How unfortunate. To add to Mnangagwa’s misery, the health system frantically crumbled. First came the nurses strike, who wanted better working conditions and better wages, this led to a weakened health system which gave birth to a cholera outbreak. The outbreak killed more than 50 people and affected a thousand others across the country. The country is still to recover from that and Mnangagwa, again, failed to find a lasting solution, with his deputy, Constantino Chiwenga, at one time firing nurses who had gone on a strike, a move which drew condemnation across the globe. Fast forward to December 2018, junior doctors staged their own industrial action as they demanded better working conditions in hospitals. The six-week strike threatened to further cripple the health system as foreign currency shortages became acute. The army again put a dent to the little chances of Mnangagwa’s futile re-engagement efforts as more than 16 people died after a nationwide stay away turned violent. There are several reports that some rogue soldiers went into homesteads and beat up defenceless people. Some soldiers also allegedly raped women and girls, and the world reacted with no sympathy. Mnangagwa could only watch as his efforts went in flames. The period between January and March 2019 has also seen a lot of state-sponsored violence and arrests of opposition party leaders and supporters, again, putting the man they call the crocodile, on the wire and to the wrath of the people he rules. Again, Mnangagwa’s presidency was left with an egg on its face after it failed to immediately deal with the fate of more than 40 miners who were trapped underground, at a small mine in Kadoma. 28 died while several others were injured. Mnangagwa’s administration was heavily criticised for its failure to swiftly respond to the crisis as help only started to come a day after the unfortunate incident. During his campaigns, he had painted a picture of a hands-on and swift President but he has been exposed on several occasions. His Biggest test to date has been the Cyclone Idai disaster which has ravaged through the eastern parts of the country, with Chimanimani and Chipinge being the biggest casualties. More than 100 people have died while hundreds more remain missing and several others are marooned in mountains and flooded rivers. Mnangagwa has been heavily criticized for the manner he handled the catastrophe as he flew out of the country, the night Idai hit the country. He set off for the oil reach the United Arab Emirates and was “forced” to come back two days into his visit, to deal with a disaster he left brewing. His Defence Minister, Oppah Muchinguri, admitted that the government was overwhelmed and may have reacted slowly to the disaster.